Are you are in search of fitness and looking for a rewarding challenge?? Like running, swimming or cycling or all three?? If you answered yes to either of these questions then triathlon is the sport for you. Whether you just want to train and enjoy being part of a friendly club or want to compete in races and test yourself, then don't be put off. Contact us for more info by chatting to Club Member or PM us at our Facebook page. Its that time of year again to dust off the credit card and get signed up for races. Our club races for 2019 feature a mixture of distances and we have tried to keep them as close to home as possible as well as a wee sun holiday at the end of the season! 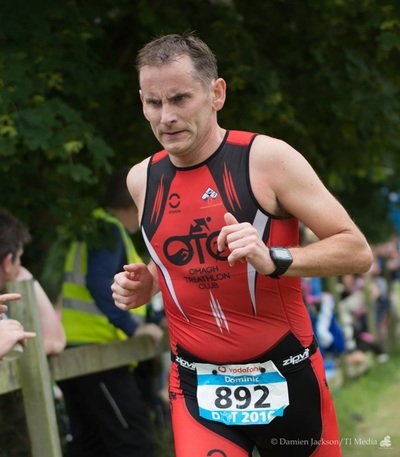 September marked the end of the triathlon season and it was a busy finish to the year. Gerard Turbitt travelled the length of Ireland to The Lost Sheep in Kenmare for one of the toughest middle distance races on the calendar. 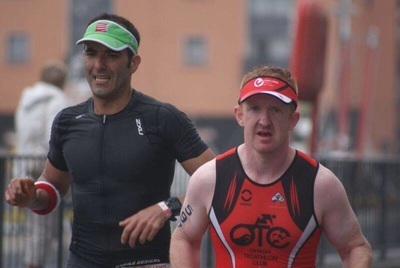 Not satisfied with that he joined Sean Healy, Darran Lagan, Padraig McDermott, Cathy Cunningham and John Morris in Blacksod for one of the toughest Olympic distance races in Ireland. Gerard and Darran won their age groups in what can only be described as 'windy' conditions. 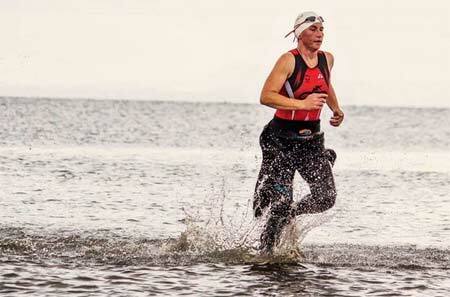 The Port Beach Triathlon was once again the venue for the National Sprint Championships. 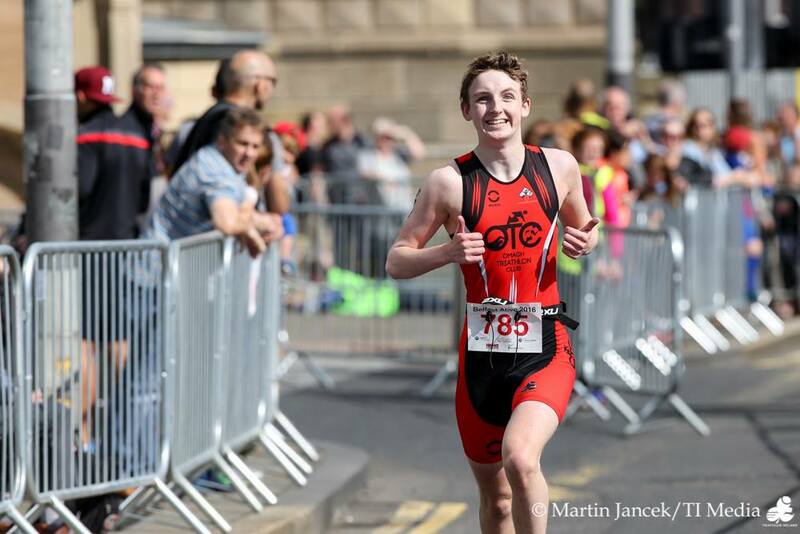 Chris McGuigan showed fantastic form yet again to take his age group and with it the National Age Group Title! Well done Chris. Father and son Peter and Orrin McAleer also enjoyed the season ending race to round off a fine season for them both. Up the Coast the sun also shone in Groomsport for the Ireman middle distance and sprint race. George Goodwin performed superbly in the sprint race while a fantastic debut at middle distance had Roger Harkness leading the OTC charges over the line. Age group wins followed for Barry McCann, Lucy McDermott, Jenny Morrow and Anne Logue. Strong performances by the rest of the crew were shown by a sunkissed Michael Phillips, Owen 'let me at those nuts' Falconer, Andrew Goodwin, Padraig McDermott and Kieran Hurson. 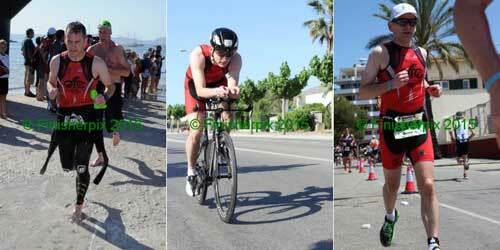 Rounding off September in warmer climes was Shane McGale completing yet another Ironman, this time in Mallorca. This brings his tally to 10 and I'm sure there'll be many more to come. Well done Shane. Triathletes travelled to Dublin for the Dublin City Triathlon comprising a 1.5 Km swim in the River Liffey, a 40 Km face-paced four lap course and 10 Km run in Phoenix Park. Conditions were much improved from the washout of 2014, with members Owen Falconer and Dominic Teague the only members brave enough to take on the Liffey and the deer of Phoenix Park. 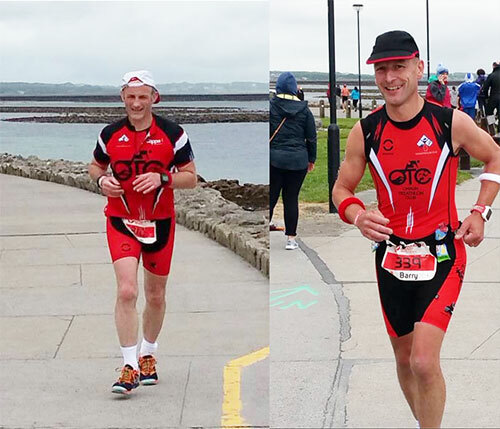 On the south east end of the province three members completed the Top of the Mournes Triathlon organised by Newry Triathlon Club. 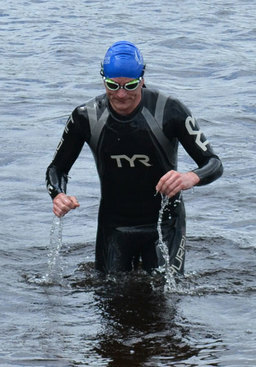 The swim comprised the only flat section of the course whilst the bike described by member Gerard Turbitt as “like cycling up the Gortin Glens for an hour”, ensured competitors were challenged both physically and mentally. Nonetheless members Gerard (2nd A/G), Chris McGuigan (2nd A/G) and Mark Daffy demonstrated great resolve by rising to the occasion to finish the event. In another opportunity for members to race in an urban environment, the swim, starting in the River Lagan at the Weir adjacent to the SSE Arena sees competitors take both river and tidal currents, a flat fast bike course through the Titanic Quarter and a run through the streets of Belfast city centre. Conditions were prefect in stark contrast to the torrential washout of 2015. Lorcan Healy finished 2nd overall, missing out on the top spot by just 6 seconds. Fellow OTC men that participated were: Shane McGale, Darran Lagan, Mark Daffy, John Morris, Barry McCann, Gerard Turbitt (3rd A/G), Andrew Goodwin, Padraig McDermott, Sean and Liam Curran, Dessie McAleer and Albert Law and the Sprint event Father and Son Duo Peter and Orrin McAleer and Nigel Mullan. 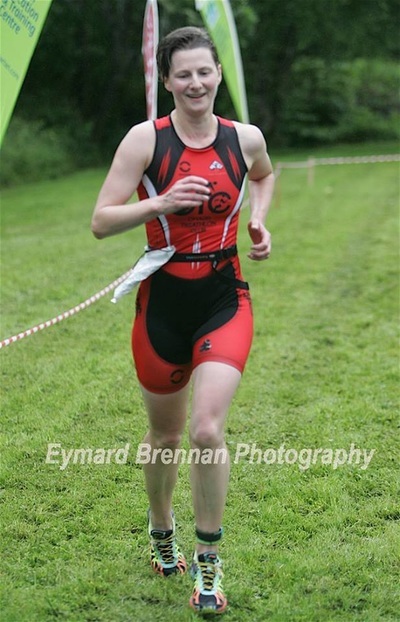 Cathy Cunningham displayed perfect form as she powered through to finish 3rd female overall in the Ballyshannon Lakeside Triathlon. Cunningham, who has consistently finished top of her age group in every race she has finished from 2014, put on a thrilling display of swimming, cycling and running to see off the competition behind her. 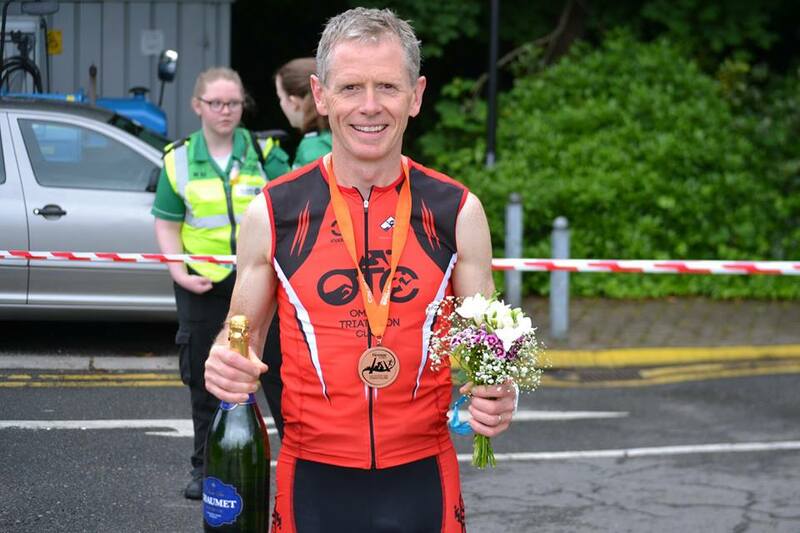 It was almost a perfect podium finish for Omagh, as Lorcan Healy led the men’s race through the swim and the bike, however, disappointingly, bike trouble put an end to Lorcan’s race. 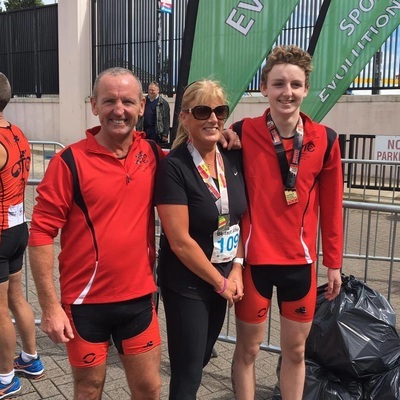 Cathy and Lorcan were joined at the start line by fellow members – first timer Seamus Donaghy, dedicated racer Jennifer Morrow and accomplished cyclist Raymond Browne. Next up on the club race calendar was Letterkenny on Saturday 9th July. Loran Healy kicked his season off with a bang in the Standard Distance race with a stunning comeback earning him second place overall in a torrentially rain-soaked course. Healy, who has recently returned to triathlon from an injury, produced the second fastest swim of the day and finished in a superb time of 2:04. 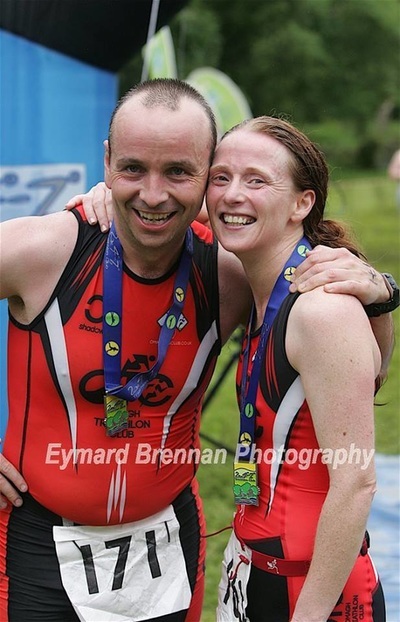 Also competing in the Standard race was Darran Lagan (2nd AG), husband and wife duo Pauric and Lucy McDermott, with Lucy winning her age group on her first effort at the distance and Dessie McAleer. In the Sprint Distance race the club was also wonderfully represented by Linus Montague, John Morris (3rd AG) and Sinead McCann (2nd AG), all of whom withstood the tough rain and off-road run. 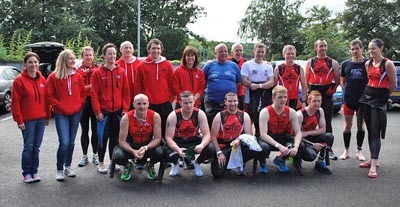 A 7:00am start on the banks of the River Foyle was the setting for the Firmus Energy Sprint Triathlon, where Omagh Triathlon Club once more proved their worth over a thrilling course on a rare opportunity to race on a closed-road course featuring the city's own Olympic triathlete, Alieen Reid. A fully downstream swim allowed for blisteringly quick swim times which was a pleasing outcome for all participants. A two lap bike, over the Craigavon and Foyle Bridges allowed for a unique truly urban bike setting, followed by a run that incorporated the beautiful peace bridge and leafy St Columb’s Park. Chris McGuigan put on the race of his life to finish 2nd overall, in front of men half his age. Chris had the fastest run of the day by over 20 seconds, proving with hard work, passion and dedication, age is no barrier to achieving your best. Chris was joined down the finishing gantry by Shane McGale, Linus Montague, Gerard Turbitt (2nd A/G), John Morris, Peter and Orrin McAleer, Padraig McDermott and Albert Law (3rd A/G). Cathy Cunningham continued to display fine form, finishing as the first OTC lady home, first in her age group and fifth overall. 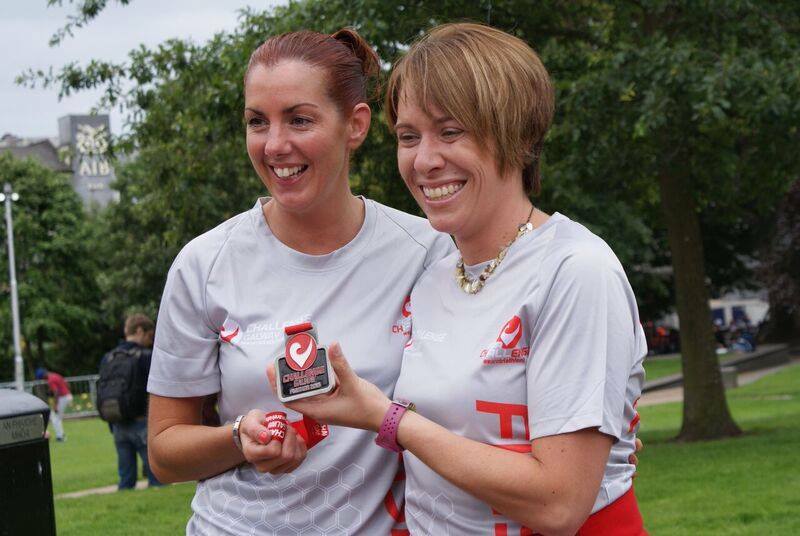 Cathy was followed by ladies Lucy McDermott and Sinead McCann. 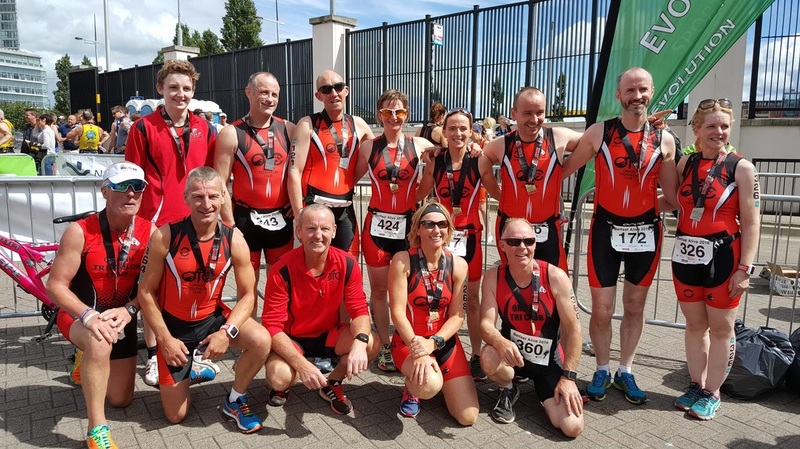 Our eager middle distance, sprint and Try a Tri athletes joined our long distance warriors at Challenge Galway over the course of a festival of triathlon weekend. On a 'Challenge' of a weekend due to the rain and wind ( some even managed to get a bit of sun), our athletes earned their medals and t shirts. Congratulations to Jerome, Gavin, Owen, Darran, John, Kevy and Dominic, Special congratulations go to Dermot Conaty and Liam Curran on completing their first half iron distance. An extra special mention must go to Gerard Turbitt on his age group win which qualifies him for The Championship International Triathlon in Slovakia next year. 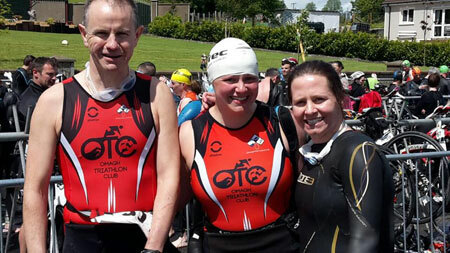 A day before the ladies of OTC had got the ball rolling with Nuala Teague completing her first triathlon in the Try a Tri (Not the easiest one to start with Nuala!). Una Corrigan competed in the sprint distance doing her first sea swim. It was great to see an away day for the club with our Red, Black and White very visible on the course. Sean Curran and Barry McCann you are IRONMEN! Sean Curran, Chris Gallagher & Conor Eannetta on completeing the Challenge Galway Long Distance event yesterday in not the best of weather condition, which shows the great determination and character you have. You are IRONMEN now. Enjoy the rest men. 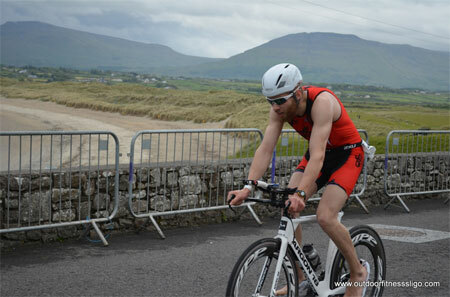 Mullaghmore, Co Sligo was the setting for the GloHealth Sprint Triathlon. Sea conditions made for a calm lake-like swim for the third year in a row. The usual prevailing coastal winds took a break to allow ideal biking conditions whilst the sun appeared on time to cast some colour on finishing competitors. 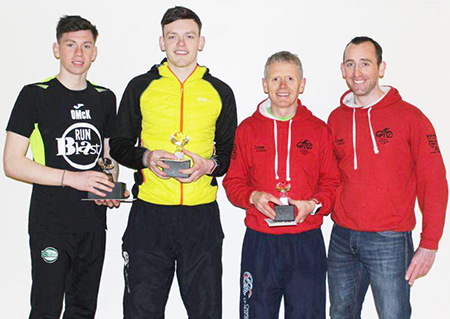 Taking third place overall was Gavin Corey, followed by members Michael Phillips, Andrew Goodwin, George Goodwin (2nd place U17), Dessie McAleer, Justin Conaghty, Conor Eannetta (who has completed all 16 Mullaghmore races), Micky Collins, and sole female representative Martina McLaren. A bit of mixed fortunes this weekend for OTC members. The hardy souls that went to Lough Cultra Castle to take on the Gaunlet were a bit disappointed when the swim had to be cancelled due to fog. The Gaunlet was then turned into a long Duathlon consisting of a 7km run, 96km cycle and 14km run. Big congratulations to Jennifer Morrow, Anne Logue, Kieran Hurson and Sean Conway for taking it on and completing it. 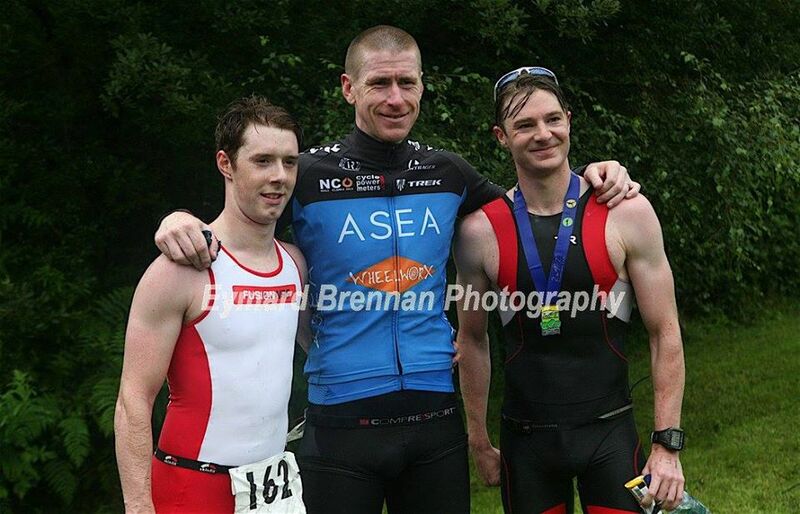 Also congratulations to Associate member Barney McCullagh on placing 3rd overall in the Standard distance race. Congratulations also to Lucy McDermott and Catriona McAleer on completed the Rock & Roll Marathon in Liverpool, making great strides Ladies. And congratulations to husband & wife team of Cormac, Cathy Cunningham on completing the Connemara Cycle on Sunday. Our long training day also went well yesterday with a great swim in the tranquil waters of the Lough before we set of to cycle to Killyclogher where we joined up with the Gina Carrigan forget me not cycle. There was 3 different routes and people went with what best suited them on the day. Ironmen in training took on the 100 mile cycle and then returned to the Lough totalling 120miles altogether, then to get of the bikes for a run around Loughmacrory. Well done to everyone, the weather also played it part for the weekend. Hopefully more to come. 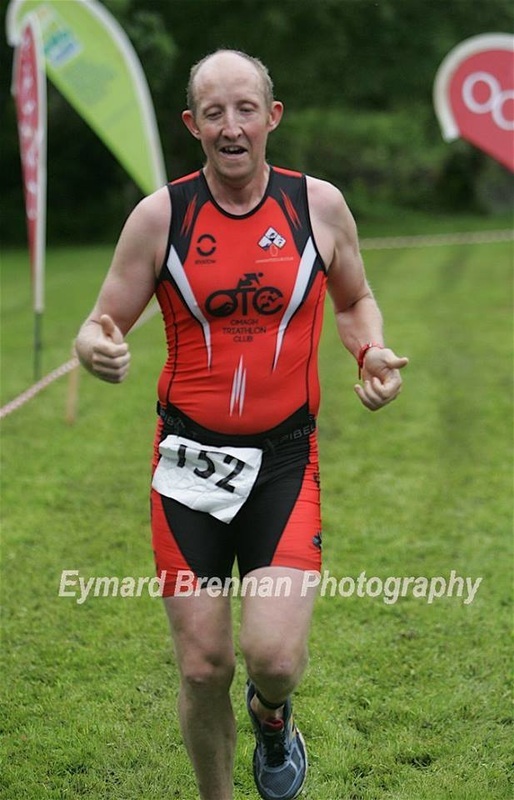 A big congratulations to club man Gavin Corey on a excellent WIN today at the Roe Valley Sprint Triathlon taking 1st Spot overall. This is a great start to the triathlon season for Gavin especially after the hard duathlon season he completed, finishing 3rd place overall in the National Duathlon Series. 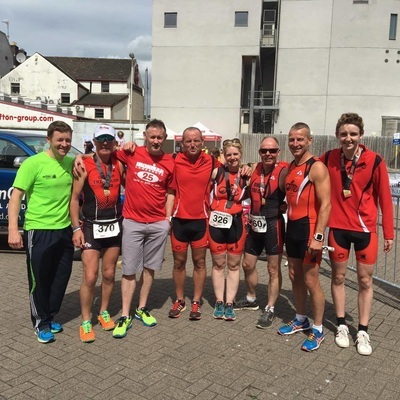 Congratulations to all our members that raced today at the great Liam Ball Triathlon in Derry. 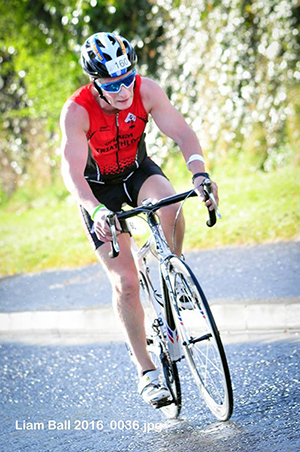 Always a great race and really well organised by the Northwest Triathlon Club. 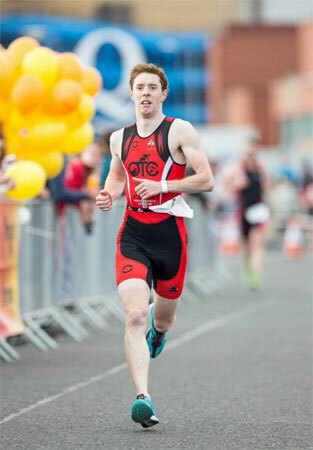 A special mention has to go to Club member Chris McGuigan on his 2nd Age Group win in 7 days. 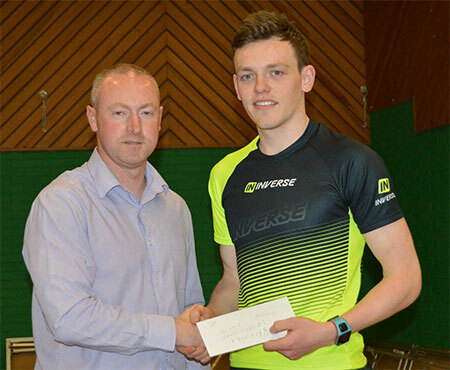 Also to club Associate Barney McCullagh on coming 3rd overall. Well done to all, great racing. ​Also a big thanks to the crew of Colette & Tommy Smyth that were on hand today with the new canopy to keep everyone nice and dry while they all enjoyed what is now the most famous Carrott Cake in the country. At the 1st National Series Triathlon race of the season organised by the Sligo Triathlon Club, Omagh Triathlon Club members were out in force to pick up some points on offer. 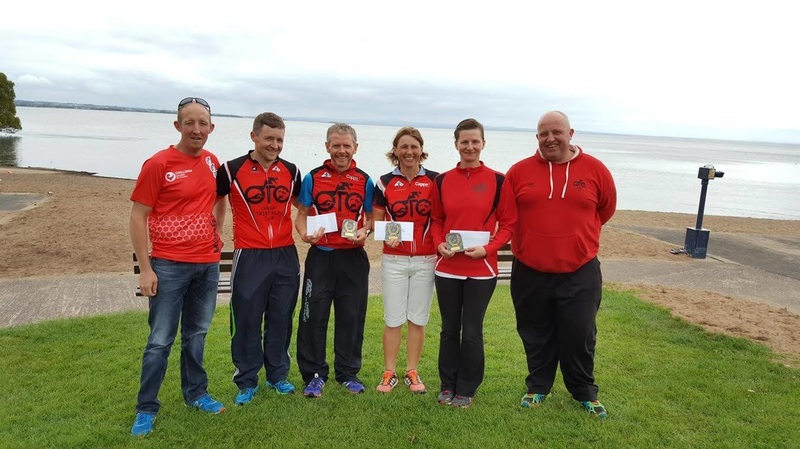 OTC would like to congratulate age group winners Jenny Morrow, Shane McGale, Cathy Cunningham, Chris McGuigan, Bobby Collins & Albert Law. Also runners up in there age groups were Michael Holland, Sinead McCann, Jerome Carlin & Linus Montague. Also a big shout out to members Gavin & Una Corrigan, Lucy & Paudric McDermott & Nicola Birchmore, Michael Collins, Owen Falconer, Barry McCann, John Morris. ​New members also making there debut were Martina McLaren & Justin Conaty we hope you enjoyed the experience. A special word of mention have to go the McAleer Family now that Mother Theresa, Father Peter & Son Orrin also completed there 1st family Triathlon. Well done everyone. Great results yet again from OTC. It was another great day's racing at OTC's annual duathlon. The course has something to test all abilities. duathlon. No stranger to the dizzying heights of the podium, Gavin Corey led the field from the first 10K run towards the bike, beating off competition to finish third overall. Jerome Carlin and Gavin Corrigan for their efforts and a great start to the season. course to finish 3rd in his age group. All roads lead to Omagh for the next one - oil the chains, fill the tyres and lets get the 2016 season going! 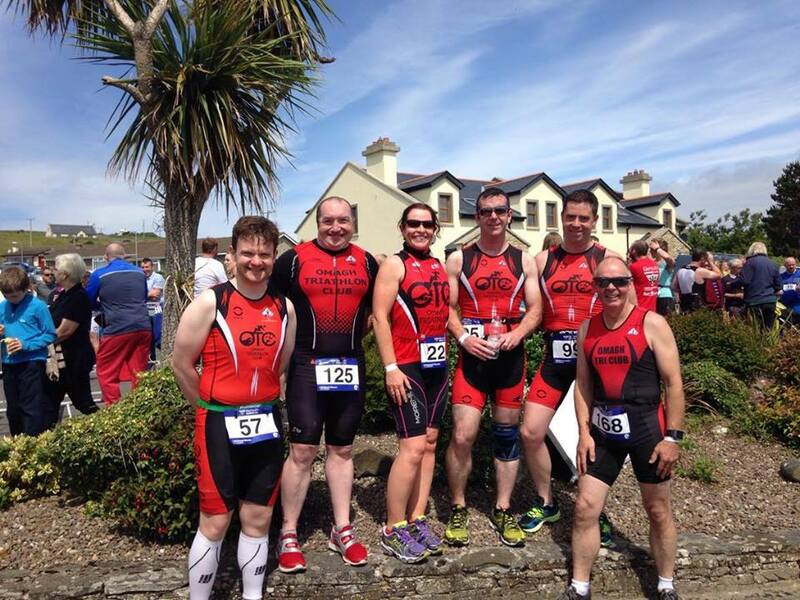 There is no doubting we have some great triathlon clubs in Ireland. 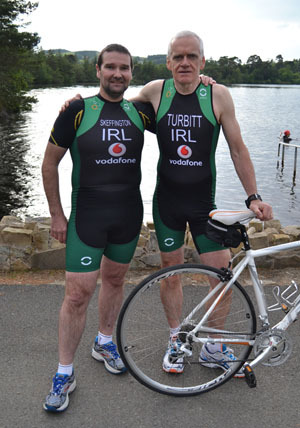 In 2015 there were 10,500 members of Triathlon Ireland. Our sport is massive. How did we do against these great clubs? We did GREAT! What better way to end the triathlon season than completing your first half ironman? Barry McCann, Sean Curran and Eugene og Lagan did just that today in perfect Groomsport conditions. The experienced Eannetta brothers were also there to give words of advice from many years racing at this distance. Congratulations to the OTC team. As the race season ends it's time to reflect on the year and to look forward to new challenges. Remember, as our first time half iron men showed today, if you want something bad enough and you're willing to put in the effort then anything is possible. We had to wait until the last club race of the season, but the National Championship Sprint hosted by Pulse turned out to be a perfect day. Cathy Cunningham ends a great season as national age group sprint champion and is just reward for her commitment and dedication this year. But it didn't end there. Chris McGuigan impressed once again finishing 16th overall and 3rd in the extremely competitive 45-49 age group. Rosie McCartan and Gerard Turbitt finished 2nd in their age groups. Congratulations to the whole OTC team. So it's just the Groomsport Half Ironman remaining. Good luck to Sean Curran, Barry McCann and Eugene Og. At this time of the year you can be assured weather conditions will play a big part in triathlon. Cycling a 1km 15% gradient hill has defeated many a triathlete over the years. Throw in some sand dunes on the run and you can see why Blacksod is considered one of Ireland's most beautiful and difficult triathlons. 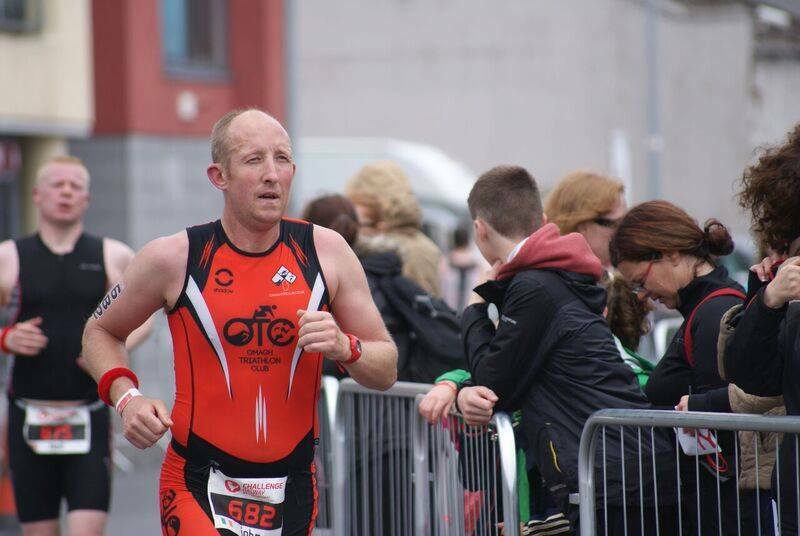 Darran Lagan comes to the end of a great year with a 1st age group finish. Gavin Corrigan showed that his biking continues to go from strength to strength. Gerard Turbitt, fresh from his Ironman heroics, picks up another 1st age group prize adding to his burgeoning trophy cabinet. 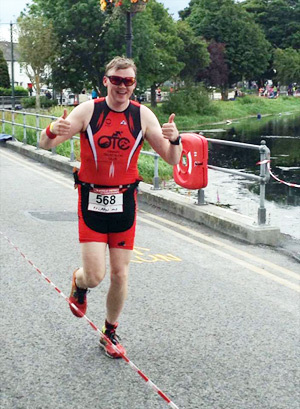 OTC were well represented at today's Ballyshannon sprint triathlon. A 24km cycle with an uphill drag and head wind to Bundoran added an extra degree of difficulty. As the race season draws to a close many of the team continue to impress. Nigel Mullan and Sinead McCann (3rd age group) both had strong races across all three disciplines. The team picked up age group placings, including Rosie McCartan's 1st age group. Only Port Beach race remains in the club race calendar. Who will take the OTC male and female top spots for 2015? Watch this space. 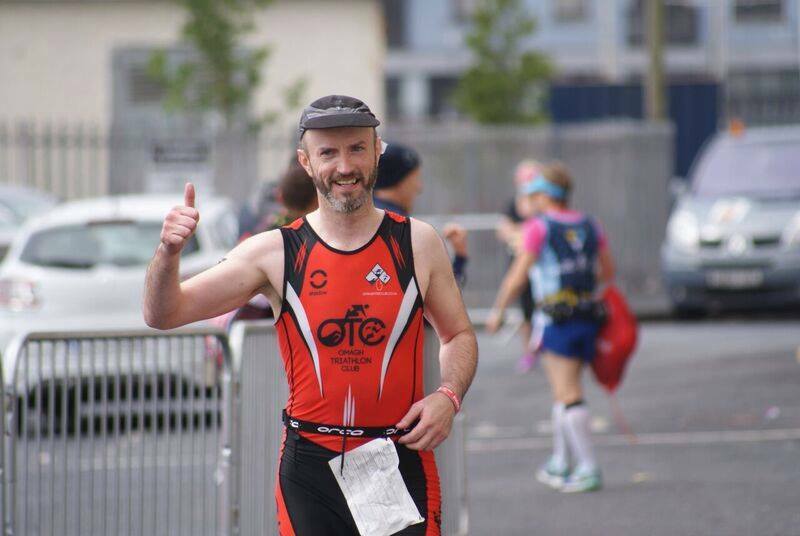 Leading OTC and Ireland age group triathlete Pete Neill put on a superb show at Dublin City Triathlon Category 1 Olympic distance triathlon. 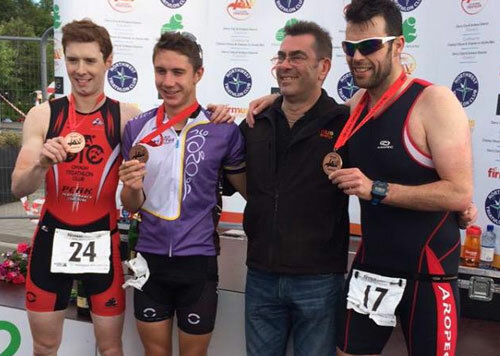 The best triathletes in Ireland went head to head in the battle for national championship honours. In a day best suited to ducks, Pete showed that he is well capable of racing with the very best. Draft legal racing is a new addition this year and we look forward to seeing Pete in future category 1 races. Maybe one of us did something wrong in a former life. What did we do to deserve this weather abuse? This summer has been one washout after another. 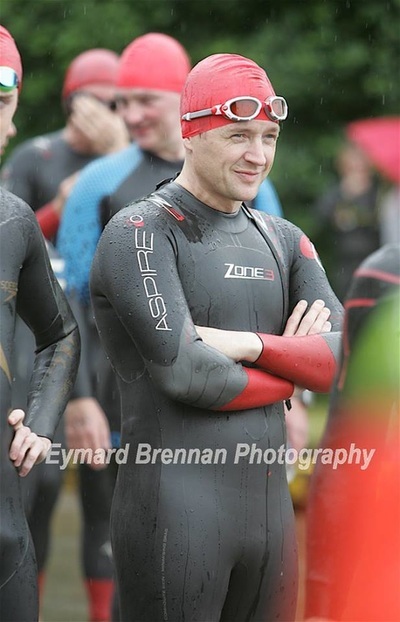 Dublin City Triathlon was the final nail in the wet weather coffin. 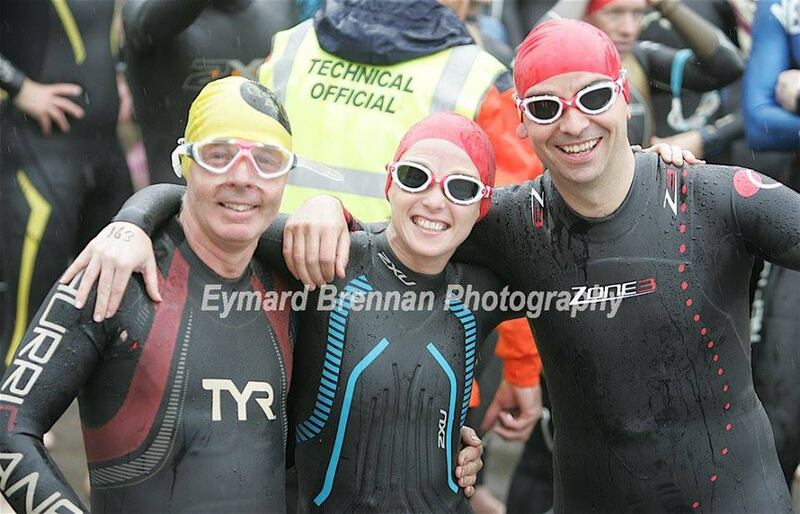 Many of us are looking forward to Triathlon Ireland switching the race season to the winter months. The day proved challenging for the seven OTC ducklings. Dermott's brake failure and Darran's leg cramp were about the only highlights of the day. Somehow we all managed to finish in one piece. We'll put this one down to experience. It was never in doubt. We knew Gerard could it. He is an IRONMAN. After months of hard training Gerard Turbitt travelled to Copenhagen, Denmark to compete in his first full distance IRONMAN. 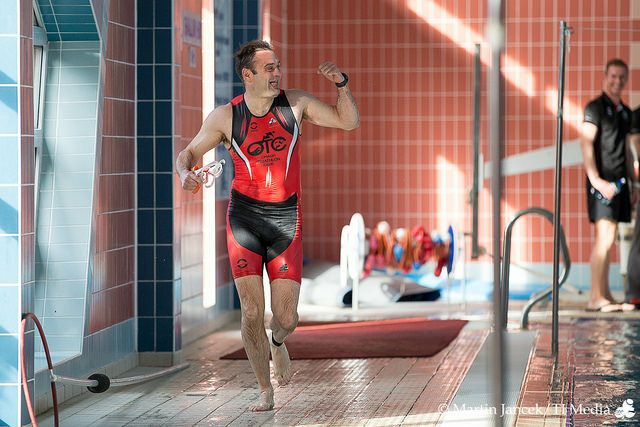 What we didn't know was that he could swim 4km in 1hr 15m, cycle 180km in 6hr 22m and run a marathon in 4hrs 41m. A total time of 12hr 29m and 7th age group finisher. Congratulations from all of us at OTC. The Ballyronan measuring tape has seen better days as the indicated swim of 750 meters was verging close on 1000 meter at the Lough Neagh National Series Sprint. Cathy Cunningham continues to solidify her position as one of Ireland's top female age group performers with a fine 1st in age group and first OTC member to cross the line. 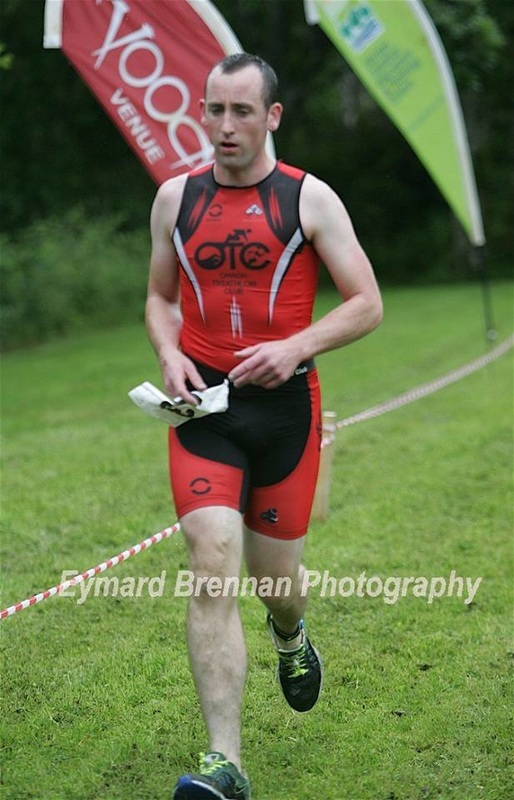 Kieran Byrne showed that his hard work is starting to pay dividends; first OTC male across the line and finishing with a strong run. Congratulations to all the team including Eddie, Orrin, Glenn, Eoghan, Eugene Og, Kieran, Emma, Albert, Anne and Majella on another super showing from OTC. This weekend sees the high point of the racing season for some of our club members. 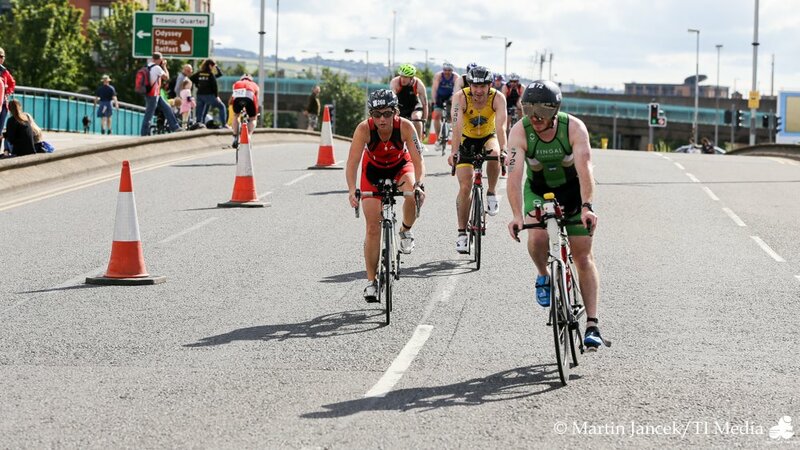 Rosaleen, Chris, Darran, Andrew and Jerome head to Dublin for the prestigious 70.3 Ironman. 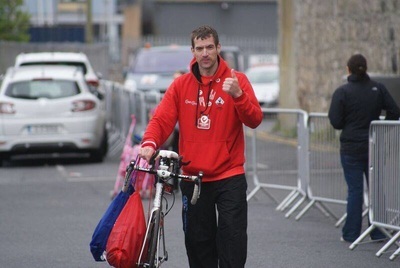 Starting with a swim in Scotsman's Bay, Dun Laoghaire, our athletes complete a single 56 mile bike loop around Dublin before running the half marathon distance in Phoenix Park. Good luck guys, let the weather treat you well. 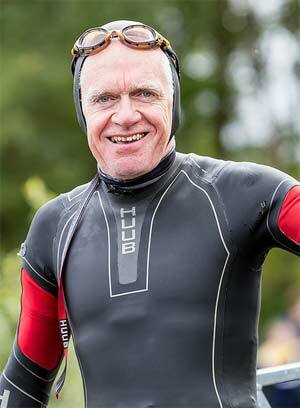 "You'd have to search far and wide for a better organised triathlon event." That's the consensus of our 250 Tri the Lough competitors. The Loughmacrory community and OTC put on a great show at our 5th annual national series sprint event. Records were broken and ice creams were eaten. Even the weather decided to play its part. 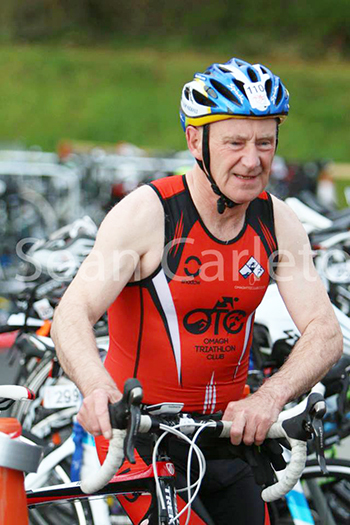 Each year the standard of triathlon in Ireland reaches new levels and this year was no exception. 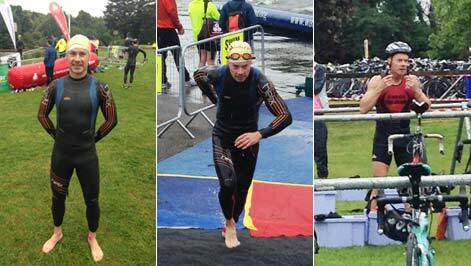 Both men and ladies course records tumbled as James Walton (Triangle) and Carolyn Hayes (Go-Tri) set new highs. Local man Bernard McCullagh (Go-Tri) and Ryan McFlynn took mens 2nd and 3rd. Laura Tighe and Siobhan Gallagher took ladies 2nd and 3rd. First OTC male across the line was Stephen Duncan in 7th (with fastest run of the day), followed by Pete Neill and Dermott McElhone. Cathy Cunningham took the female honours, followed by Sinead McCann and Lucy McDermott. Many OTC members set personal bests and won age group medals; commitment and dedication sure has its rewards. Congratulations must go to all those who made this such a great event. Including Loughmacrory GFC, Community Development Association, our sponsors (including DAN Developments, Conway Cycles and Corrigan Opticians), OTC Committee, race marshals, technical officials, canoeists, catering team and last but not least...the ice cream man. Race results are here. Race photos are here. More photos on our facebook page and courtesy of Paul Warriner here. The summer racing weather continues to test the reserves of even the hardiest triathletes. Belfast was no exception. Chattering teeth, wind and rain created the sound track of the day. 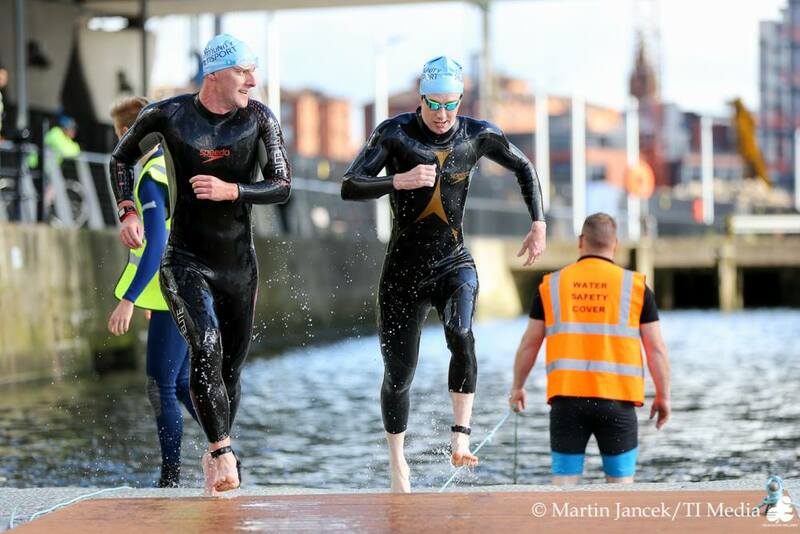 Almost 50 OTC Arctic explorers braved the conditions at Belfast Titanic National Series Olympic and Sprint distance triathlons. This one was going to be tough. In the Olympic distance Stephen Duncan (with the fastest run split of the day), powered across the line in 7th place overall, followed by Chris McGuigan and Darran Lagan. Rosie McCartan took the ladies honours followed by Mairead McDermott and Emma McLaughlin. In the Sprint distance Gavin Corey continued to impress with 6th place. Michael Holland also showed that he is coming into fine form with 9th place. Sinead McCann took the ladies honours followed by Lisa Wallace and Anne Logue. Special thanks to Shane McGale for organising the group entry. OTC won the best club award in his honour. A group hug and massive thanks must go to Colette and Tommy Smyth. Their continued support, hot cups of tea and carrot cake really saved the day. You're the best. After months of hard training the OTC gang headed for Athlone. A fast swim and a 90km 'Tour of the Lakes' bike was followed by a physical and mentally tough half marathon distance. The 3 lap run loop had plenty of (OTC) supporters urging our guys to the finish. Pete Neill was first OTC member across the line in a fine 15th place followed closely by Chris McGuigan (2nd age group) and Darran Lagan. But the half iron man challenge is not about the time but the distance. Congratulations to all our triathletes (Emma, Michael, Gavin, Dominic, Gerard, Kevy), you can't have a rainbow without the rain. "It's just a bit of fun." they said, but the competitive spirit is never far from the surface within OTC. And so it proved at our annual 'fun' day out at the team super sprint. Surrounded by our friends and family the eleven teams made the best of the great conditions. Coming out on top where Raymond, Cathy and Nigel. Many thanks to Linus and OTC committee team for running the event and prize giving. A special thanks to those who sponsored the awards and prizes. Some photos are here. 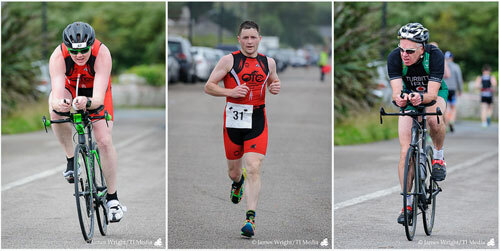 Once again Mullaghmore Sprint Triathlon provided a serious test for our hardy OTC crew. The prevailing winds can really play havoc with the sea conditions, The swim here always feels longer than the standard 750 meters. Strong winds on the day also made for a challenging 21km cycle and the run has some steep hills to contend with. First OTC male across the line (and in a excellent 11th position overall) was Aidan Borchers, followed closely by Shane McGale and Eddie Molloy. First OTC lady across the line was Lisa Wallace, followed by Emma McLaughlin and Noelle Toner. Congratulations to all our OTC team on another fine display. Photos here. 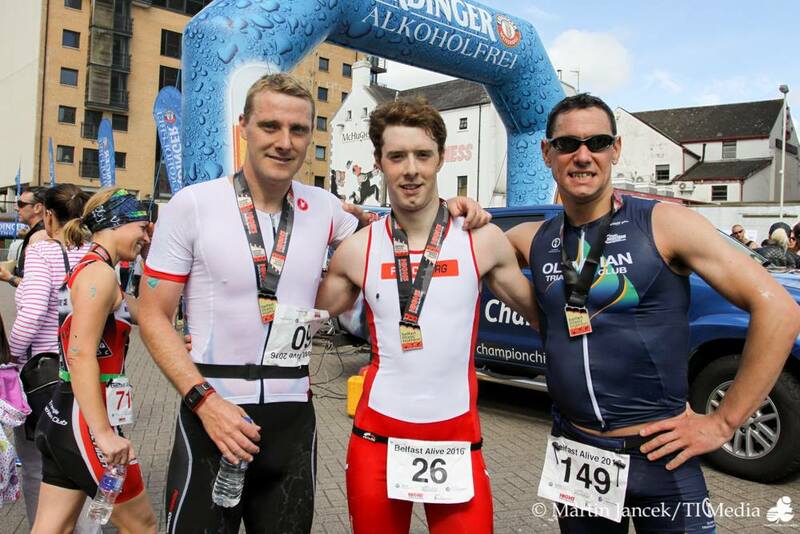 OTC turned out in force for the Firmus Derry Sprint National Series Triathlon. 36 of our finest took the plunge just after 8am. Once again the swim start was full of rough and tumble. Rosie McCartan's black eye is proof that triathlon is far from a non contact sport. The 2 lap cycle course over the Foyle Bridge had plenty of climbing to test the legs and nerves. The run threw in a few hills to further test the weary legs before the welcoming finish line. Lorcan Healy once again proved he is in great form with 2nd place overall. His focus will now switch to the national championship middle distance in Athlone. Read Lorcan's race blog here. The day just got better and better as many of our athletes picked up age group places and PB's. First OTC lady across the line was Cathy Cunningham (1st Age Group AG), followed by Rosie McCartan (3rd AG) and Aisling Irvine (1st AG). Ever consistent Chris McGuigan was the 2nd OTC male across the line (2nd AG) followed by Michael Holland. Gerard Turbitt continues to collect the silverware with a 2nd age group and Sean Healy proved that triathlon runs in the Healy DNA with a 3rd in age group. Congratulations to all our triathletes and to Colette and Tommy for the refreshments. You all make our club a great club. As Peter Jack asked Shane McGale... "What makes OTC such a great club?" "Me!" answered Shane. If you didn't love it, you wouldn't do it! There are sometimes when you have to question your own sanity. 30 mph winds, dark clouds, choppy waters and a tough hilly triathlon course. That's what faced our intrepid club members at Camlough National Series event. As the dark clouds descended the swim had all the hallmarks of an Ali v Fraser 12 rounder, with some adding kicking for good measure. "It's the roughest start I've ever experienced" exclaimed many of the team. The hills and cross winds made for a tough and testing cycle. The run is never easy here as they throw in a couple of steep hills to test the legs. It stopped raining long enough to take this photo. 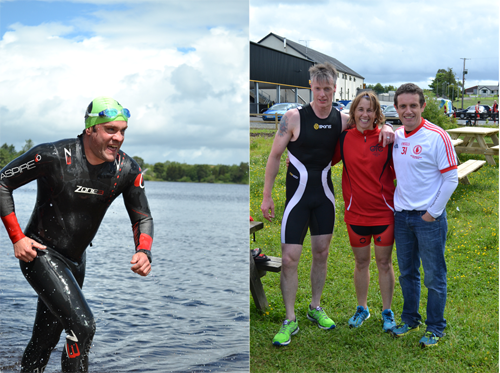 A small cohort of OTC members made their way to Cuilcagh Tri Club's James McManus Sprint triathlon in the beautiful surrounds of Lake Brackley, Cavan. On a cold day Dermott McElhone finished in a fine 9th place, followed by great racing from Sean Healy and Sean Conway. Many thanks to Lorcan for the vocal support. 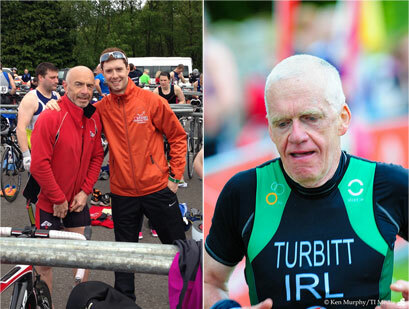 At Triathy Gerard Turbitt showed his experience, strength and endurance over the Double Olympic distance. There was plenty left in the tank after 6 hours of racing. A fine performance from an athlete who knows how to train hard and race easy. If you're tying your laces in transition then it's costing you valuable time. Switch them for 'lock laces'. Add a little talcum powder to the inside of your runners for easy entry. Know where your bike is in the rack and check the cycle and run exits before race start. Every second counts. The water was cold and rough, the wind was blustery but that didn't deter the OTC team at our annual training day in Castle Archdale. Adapting to the conditions is part of the triathlon experience. Congratulations to all those taking part in our training day for the first time. The tea and sandwiches were well earned. 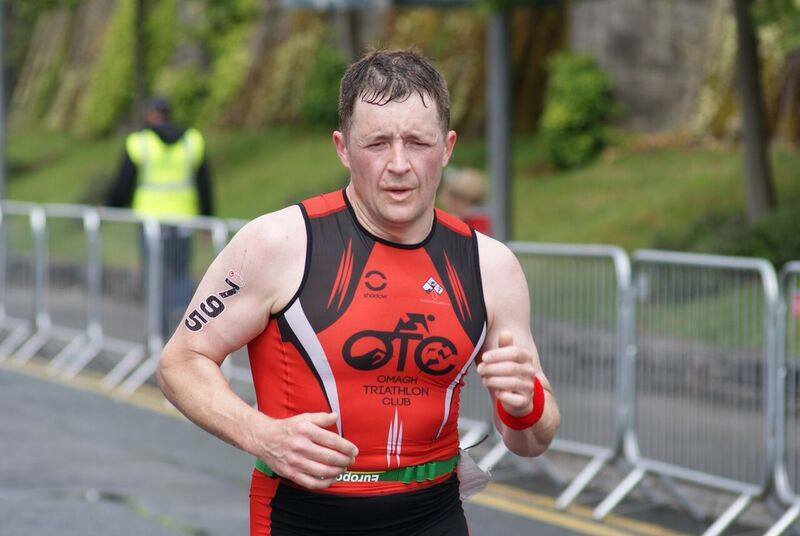 Shane McGale adds another Ironman to his impressive list of triathlon achievements. 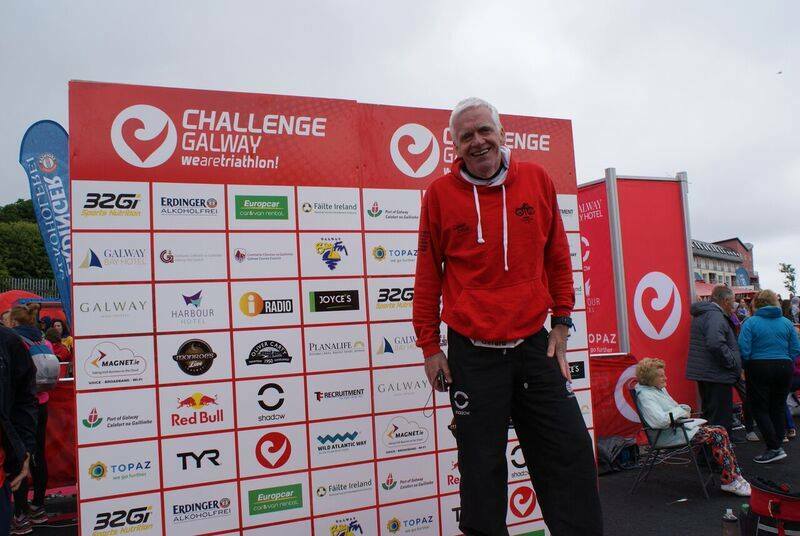 As a double Ironman Shane used all his experience to complete the difficult and very windy course for the 4th time. Surely a statue in his honour would be a fine addition to Omagh's John Street. A new addition to John Street? 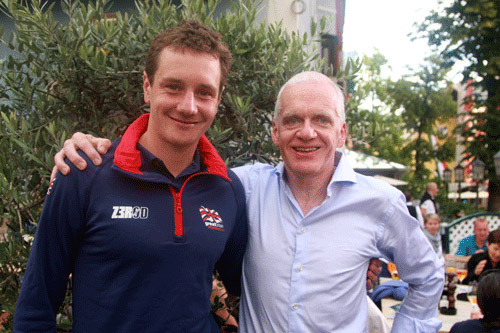 Congratulations to OTC's Dominic Teague on a great performance at IRONMAN 70.3 Mallorca. As expected Dominic's fast swim set him up for a strong race and he powered across the finish line just over the 5 hour mark. Surely this is not the last we'll see of him at this distance. 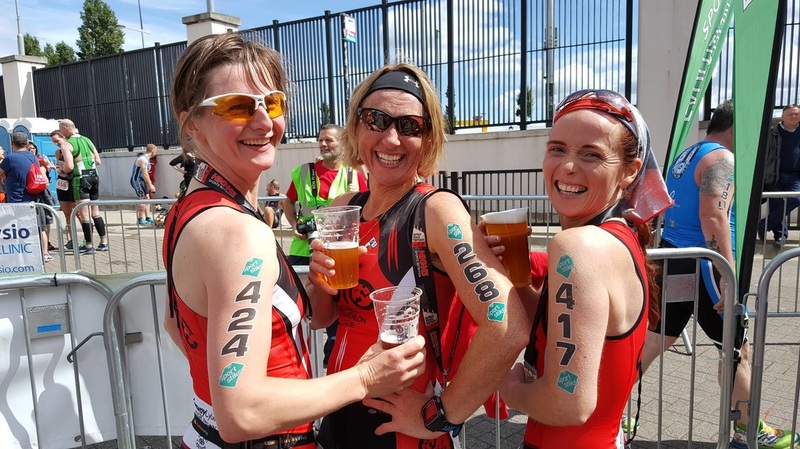 OTC ladies took home an armful of awards at Liam Ball sprint triathlon on Sunday 3rd May. The conditions didn't make it easy for the early waves, but the OTC team distinct red was everywhere on the day. 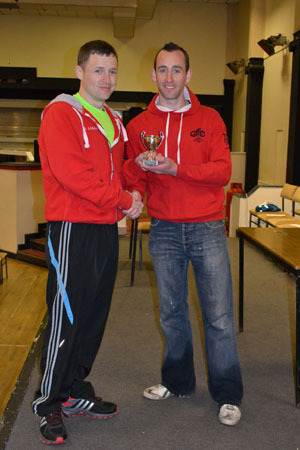 First OTC male Pete Neill was closely followed by Chris McGuigan (2nd in his age group). Aisling Irvine took the OTC female honours with Cathy Cunningham only seconds behind. Congratulations to all our athletes. Some days the conditions are good, sometimes not so good. Remember 'to be a rock and not to roll'. Results are ﻿here﻿. "Don't count laps, make every lap count"
Did you know that over 40% of our members are female? OTC have some of the best age group female triathletes in Ireland. If you're interested then why not join us at one of our training sessions? We'd be happy to give all the advice you need. Swimming ability is usually the biggest barrier to triathlon. You can cycle and run, but find it difficult to swim a few lengths, right? Join the club, most of us started in the same position. Just ask many of our triathletes. 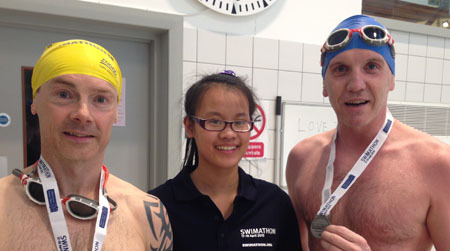 Set yourself a goal like a 'try a tri' short distance pool event. Why not join our weekly pool sessions? We're there to give support and advice. Remember, you can swim, you just don't know it yet. 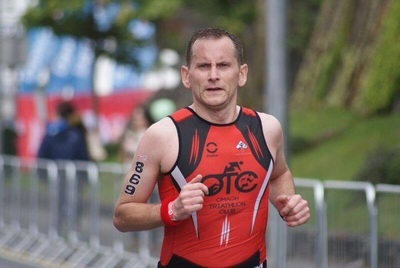 "Bloody hell I never ever thought I would end up doing this"
To mark the launch of the new OTC website our very own Gerard Turbitt recalls the early years of triathlon in Ireland and his rise to age group powerhouse at the European Championships in Kitzbuhel. Read Gerard's story. It started with sleet and ended in sunshine. Desi Foley takes first place on a tough and testing course. Head over to our duathlon page for the race review, results and prize giving photos. 5km or 200 lengths, that's the challenge faced by OTC members Pete and Dermott at the Marie Curie Cancer Care Swimathon at Omagh Leisure Complex on friday evening. Supported by lap counter Clare, the two men completed the challenge in little over the 1hr 33 minute mark and raised some much needed sponsorship along the way. 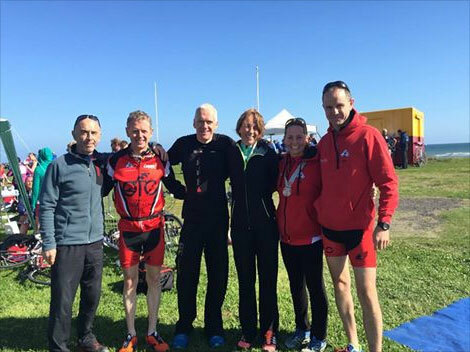 Sligo Triathlon Club hosted the National Series opener on Sunday April 19th. OTC travelled in force and didn't disappoint. Basking in the warm weather the crew put on a great show. 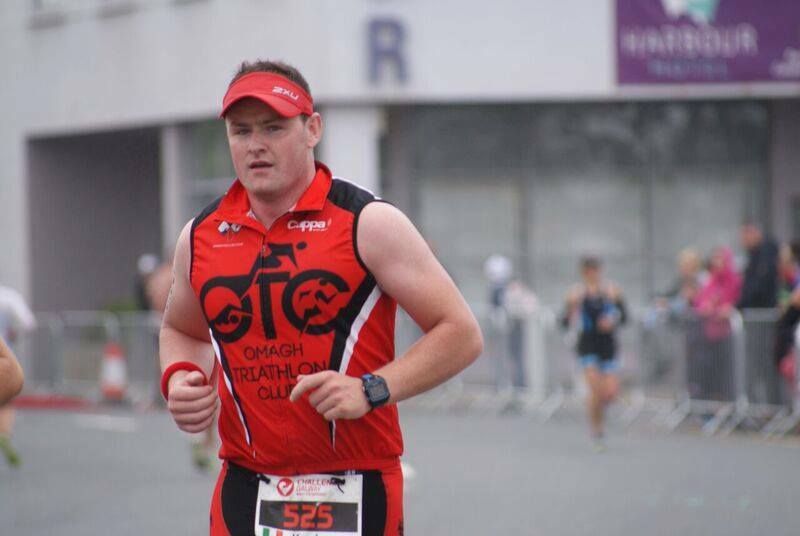 Chris McGuigan was first OTC member across the line in 7th place followed by Michael Holland and Shane McGale. Rosaleen McCartan and Cathy Cunningham started the season in fine form for the ladies; both should figure highly in this years national series. Special congratulations to the first time triathletes in the group. 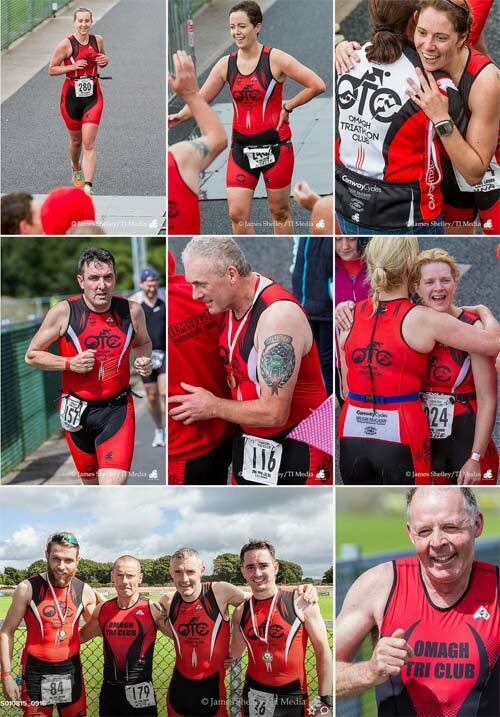 Head over to Triathlon Ireland for results and photos. 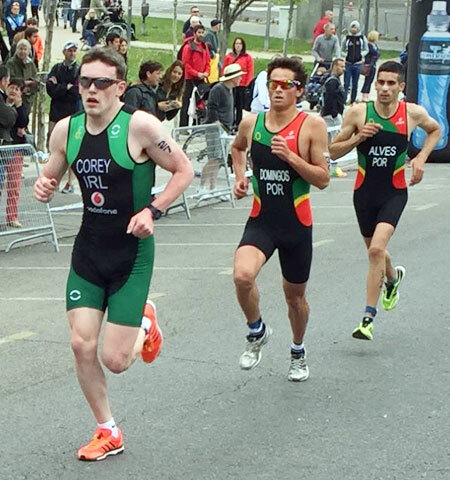 OTC member Gavin Corey joined Europe's best under 23 athletes at the European Duathlon Championship at Alcobendas Spain, April 25th. The 10k run, 40k bike, 5k run was competitive from the start. Congratulations to Gavin on his fabulous 1:59:30 result. 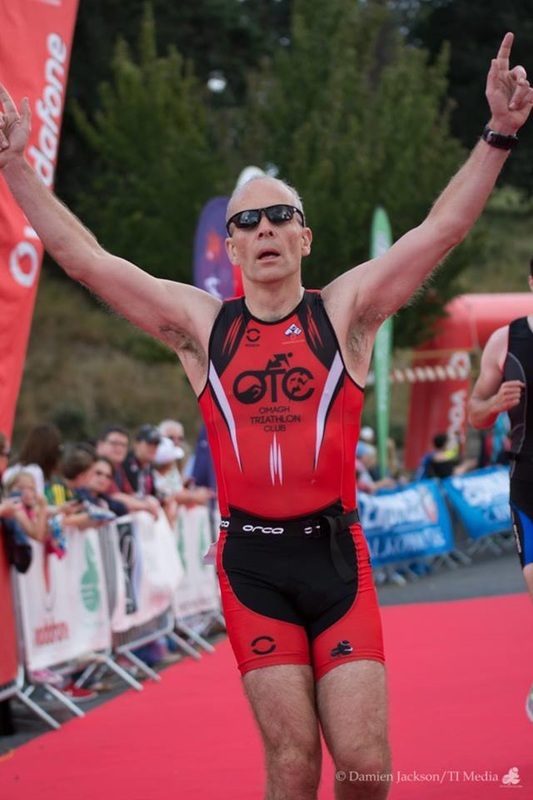 World championship age group triathlete and OTC Chairman Peter Skeffington shares his knowledge, news and tips on our new Chairman's Corner page. Head over to Chairman's Corner for more. It will soon be time again to dip our toes into the warm open waters, brrrr! For you sea swimmers that means a fun day out to Mullaghmore. Look back to 2010 and the long walk to the start line. Some OTC members looking a little younger there. Thanks to Andrea McElroy for the movie. The day started off so beautifully at home. Blue skies, and bright sunshine. 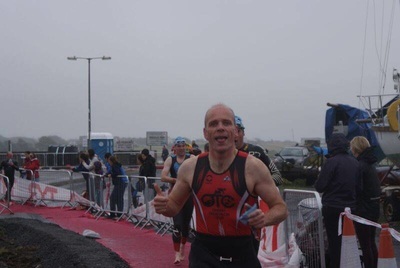 I packed my bag, and having experienced a good bit of sunburn of the face and lips at the Connemara Half Marathon the fortnight before, remembered on this occasion to pack sunscreen and sunglasses. Read Emma McLaughlin's race report here.